Pisgah Brewing Company of Black Mountain, NC has long been known for its flagship beer, Pisgah Pale Ale. One of the most popular pint choices in the Asheville, NC region and voted #1 Local Ale (any style) recently by the readers of Mountain Xpress, Pisgah now plans to sell Pisgah Pale Ale in cans at select accounts. The release is planned to be limited at first, working with their current grocery store accounts to test the market. 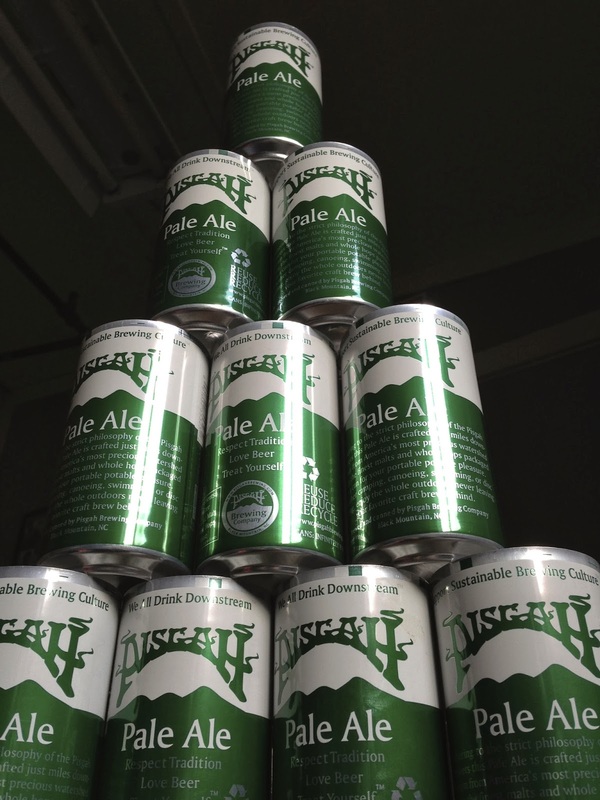 Once the Pisgah Pale Ale cans begin to hit all of Pisgah’s current package accounts, it is likely to take over as the primary form of packaging for Pisgah Pale Ale. “We will start out just canning Pale Ale,” says Quinn, although Pisgah will likely add another popular style to the mix in the coming months. Pisgah Pale Ale will be available in 6-packs of 12oz cans only, and will hit the market for the first time ever on January 10th. Pisgah Brewing Company is located at 150 Eastside Drive, Black Mountain, NC, and all details on upcoming beer releases, events and more can be found at www.pisgahbrewing.com, on Facebook at www.facebook.com/PisgahBrewingCo , or follow them on Twitter: @PisgahBrewing.